Antitrust laws are designed to keep free competition in the marketplace. Competition encourages corporations to have lower pricing and better products for consumers. Without these laws in place, businesses could merge to create monopolies or engage in exclusivity contracts that can drive market prices. However, there is a question on whether or not this set of laws punishes successful businesses. To determine that, it helps to look at some antitrust laws examples. One of the most well known antitrust laws examples is Rockefeller’s Standard Oil. Standard Oil dropped its prices by more than half and then bought up several competitors. As their market share grew, they were able to lower production costs and prices even further while still increasing the profits. They then bought out several refineries that were unable to compete successfully. However at the time of the trial they owned only 64 percent of the market share and there were 147 other domestic competitors in the market. Antitrust laws examples also include the famous Microsoft case. When Microsoft began bundling their Microsoft Internet Explorer with Microsoft Windows products they ran afoul of the law. However, in this case there were other options on the market such as Macintosh Apple. Consumers were not forced to purchase Microsoft products and had the right to refuse the product. Microsoft was still held liable under anti-competition laws and lost nearly $70 billion in market value after the verdict. The forced breakup of AT&T; still has repercussions for Americans today. Antitrust laws examples differ here slightly as AT&T; was allowed to work as a natural monopoly by the government for many years. However in 1974, Attorney General William Saxbe filed an antitrust lawsuit against them. It would take seven years for the Department of Justice to render a verdict and the end result was a division of the company into seven separate regional corporations. Today only three remain: AT&T;, Verizon and Qwest. Another antitrust laws example is the division of Kodak. At one time, Kodak controlled 96 percent of the film and camera market in the U.S. Despite winning several antitrust lawsuits, two would lead to strengthening of the laws. In one lawsuit in 1921, Kodak was prevented from selling any private-label film under their label. Following this, they developed Kodacolor film that could only be developed by Kodak. They began to include a fee in the pricing structure of the film that paid for processing and delivery. In 1954, this was deemed product “tying” and a violation of the Sherman Act. After the verdict Kodak was required to license the processing to third party vendors. Antitrust laws are in place to protect consumers and smaller businesses. However, some economists feel that in reality, these laws simply punish businesses that are doing well. Companies are also subject to legal interpretation when they are accused of antitrust behavior. 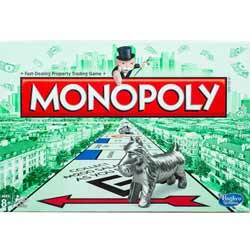 In addition, some companies are deemed natural monopolies and allowed to operate with immunity. Instead they are governed by heavy government regulation to prevent price gouging. Copyright © 2018 Antitrustlaws.org. All Rights Reserved.